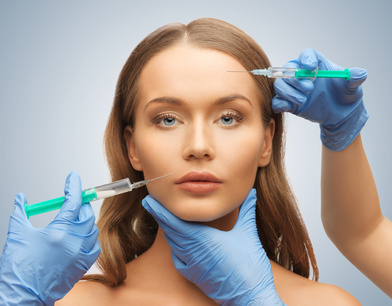 BOTOX® treatment is a safe and effective minimally invasive cosmetic procedure that can be preformed in a matter of minutes at a dental office. Facial wrinkles such as frown lines, crow’s feet, and smoker lines can be a thing of the past. Small amounts of BOTOX® Cosmetic are injected into the facial muscles to deactivate their function on the selective basis for about a 3 month period, long term use of the injections leads to a longer duration of each treatment’s effect. There is no down time, it is virtually painless, many patients present for treatment on their lunch break, and normal activities may be performed immediately. BOTOX® Cosmetic, as a muscle relaxer, can also be injected for clinical purposes to reduce clenching, grinding, and migraines. It can greatly reduce the intensity of the muscle contractions that contribute to TMJ and facial pain and give the patient significant relief. 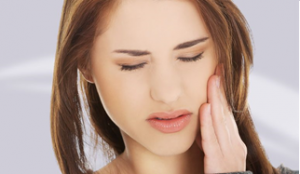 According to NIDCR over ten million people suffer from TMJ. This could simply be treated with Botox injections in the jaw resulting in less tension caused by overworked jaw muscles and less headaches. Dermal fillers such as Restylane, Perlane, Radiesse, and Juvederm are safe and effective ways to restore volume and fullness to the skin to correct moderate to severe facial wrinkles and folds. They are lip fillers, bringing “new life” to small, narrow lips. They are ideal for the treatment of lines and wrinkles around the nose and mouth. These lines are typically above the mouth, running from the nose to the corners of the upper lip (Nasolabial Folds), or pointing down from the corner of the mouth towards the chin (Marionette Lines). On average the results may last anywhere from 6 months to 18 months. They are made of non-animal based hyaluronic acid. Hyaluronic acid is a natural substance that already exists in the human body and is used to provide volume and fullness to the skin. Dermal fillers are free from animal proteins. This quality limits any risk of animal-based disease transmission or allergic reaction. Dermal fillers are injected directly into the skin in tiny amounts by an ultrafine needle, resulting in minimal discomfort. The procedure is simple and convenient, and the results are practically instantaneous.